Based on a guitar by Matteo Sellas. Made in ebony. Vaulted back. 3 dimension parchment rose. String length of between 63-65 cm. 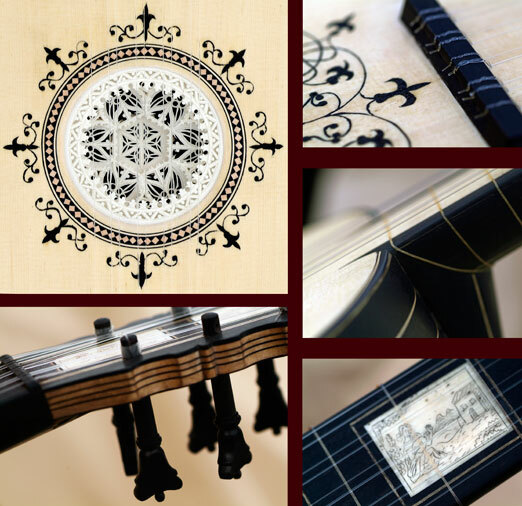 Own design, based vaguely on Cocco guitar. Flat back, made in maple, ebony decorations. 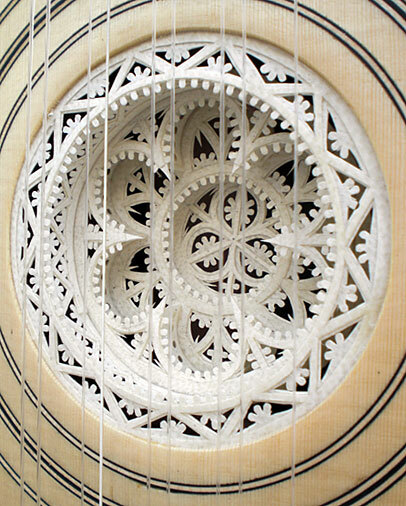 Small, easy to play instrument with option for a 3 dimension parchment rose. String length of between 63-65 cm.